There will also not be any references to hellhounds on anybody’s trail or going down to any crossroads whatsoever, ok? So, I went to see Michael J Sheehy of (brief) Dream City Film Club fame at the Guildhall last week, for this month’s Acoustica evening. In an uncharacteristic attempt to do some homework for the event I downloaded his new album from Emusic beforehand; but in more characteristic fashion didn’t really get round to listening to much of it before going. As it turned out, though, I’m kinda glad I didn’t get round to it, because the album’s fine, but considerably less edgy and compelling than watching the man himself. I’m not sure if it was because a friend who knew him mentioned that Sheehy was a bit of a dangerous character or whether it was just the fact that he launched into his set with none of the niceties of the previous acts, but there was definitely a whiff of sulphur in the air, as soon as he started. I like a bit of an edge to a performer and I’m not that fussed about chitchat with the audience, actually – as far as I’m concerned no banter is definitely better than lame banter – so I was quite happy to see Sheehy and his band launch into their first few songs with no introduction. Great songs they were too, drawing you in with his unrelentingly despondent and tormented outlook on life, which harked back to some of the great Country & Western songs and singers of the past. He also used a lot of church and biblical imagery too which again reminded me of the classic sinner-or-saint struggles of the early rockers. He was backed by a really tight band, who (rather wonderfully) went by the name of the Hired Mourners and who drove Sheehy on with a well rehearsed but clunky rhythm. They included one man on acoustic bass, a really cool drummer and (brilliantly) one blessed individual who alternated between banjo, pedal-steel and wah-wah guitar and looked suspiciously like a brother. He was great. Sheehy’s gravelly voice was also well complimented by a woman, singing backing vocals, but whose name I’m afraid I didn’t catch. Apologies to her, she really added something to the performance. All in all, it was a really great set, the best I’ve seen for a while, my favourite part being one of the last songs, “So Long Sorrow Town”, which mutated effortlessly into a rather spiteful version of “The Passenger”. Really if you get a chance to see him (and he seems to be touring at the moment), I would, it’d be well worth your money. I’m posting a few tracks which I think I bagged from the Myspace page but which no longer appear to be there, and as I said his current album and the previous ones are available here on Emusic. Honestly, what possesses youngsters to come up with these names? If I had been browsing through Myspace pages and had come across a band with a self-consciously c-razee name like Monkey Swallows The Universe, I would have passed on them. Fortunately (for me) I came across the name on the excellent Loose Records site, which is a whole different kettle of … well… fish; and then again on their “Loose Cuts 3” sampler CD, and I can not imagine a band with a less suitable name. Instead of the student-y Half Man Half Biscuit types I imagined them to be, it turns out that Monkey… (still not keen on the name) are actually an acoustic group from Sheffield writing deft pop songs, with guitars, violins and cellos and intelligent, engaging lyrics. A quick search with Hype Machine reveals that Monkey… are not a new thing and have been pretty well covered by other Bloggers since the new year. They’ve also been on radio and have appearances on Radios 4 & 6Live and XFM lined up for the coming weeks. The Band’s website has a generous four tracks for download, and as I mentioned, they also have a track on the Loose Records sampler, available here. All of the tracks are strong, but my favourite is the Sheffield Shanty, which has a rather quirky set of lyrics and some very nice guitar work. Cheesy as it now sounds, I was originally going to try and produce an ill-advised Easter-themed posting for today. 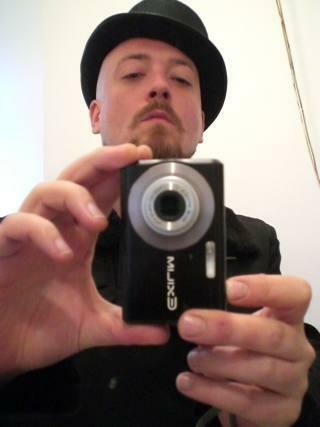 But thankfully, my meanderings around Myspace and the whole of the Interweb have taken me off on a different path altogether. Think of the Bearos site as one of those slightly frustrating but compulsive record shops that you stumble across from time to time. 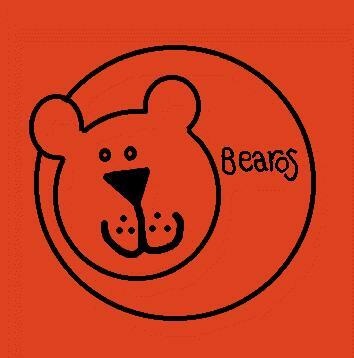 Bearos are a Birmingham-based independent label that seem to centre a lot of their activities on selling CDs online, and which has a very generous if confusing free download section on their site. There’s also some sort of giveaway CD scheme that I’ve missed. I don’t suppose they’d thank me for linking directly to any of their free mp3s, but of the tracks I’ve heard so far, I’d say the downloads by Papa November, Crazyface and San Lorenzo are worth hearing. Bearos also have a free CD they are giving away at some of the All Tomorrows Parties events, which I’d also recommend getting. I’ll try and get hold of one myself, and maybe post a few tracks. I do have some tracks to post here, though. I particularly liked the Crazyface track on Bearos’ site and Googled them, only to find they’d split up a couple of years ago. But… members of the band have gone on to form Bipolar Baby with a Texan singer called Kaytee. The direction of the band seems to have changed somewhat and become much heavier. I would say that they are currently treading perilously close to the path of Darkness (or Kerrang, at least). These tracks are not really staple PP fare and I have a feeling I’m going to regret posting them in a few weeks. I have, I’m afraid, been seduced by the [ahem] haunting vocals of Kaytee DeWolf which change the balance of what are some pretty uncomplicated but catchy arrangements. I kinda like them and there’s another track to pick up at their site if you want to investigate them further.